Bonjour, mon amour! Another all-black everything outfit with my favorite new sweater. You already know by now that I love Paris! 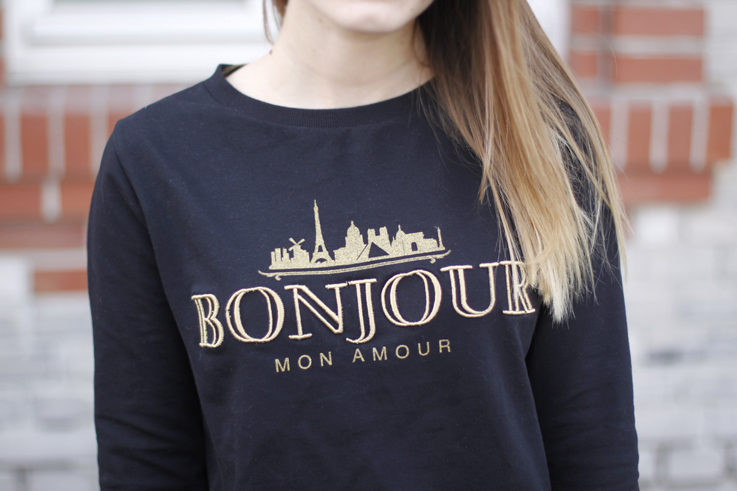 So I simply had to buy this sweater, which reminds of my favorite city plus favorite language (unfortunately I don’t speak French, only a few words).. Combined with some more black and some gold on my clutch it’s a perfect every day outfit! Super cute outfit! Love the sweater! Oh, der Sweater ist ja fantastique. 😉 Ist der aktuell? man sieht einfach immer soooo schöne Bilder und auch sehr tolle Filme!